Pizzi Metered PVA Glue Applicators are built for quick and precise gluing of dowels, dados, edges, and more. With the metered system, set your desired glue output for each application and achieve perfectly consistent glue output with each shot. 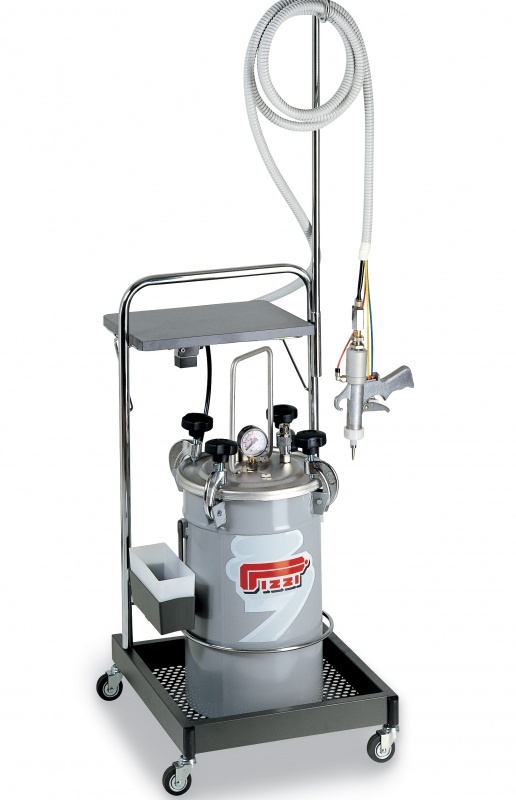 These metered glue applicator tanks come standard with 1 or 2 guns, depending on the model. 2 guns are not supported on the 0165(DF) models.